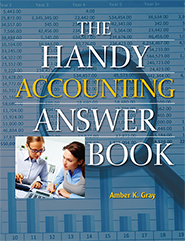 Amber K. Gray is a full-time accounting professor at Adrian College, in Adrian, Michigan, where she earned the “Teacher of the Year” award. She currently serves on the Accounting Educators Task Force of the Michigan Association of Certified Public Accountants and is a member of the Institute of Management Accountants Educational Case Journal Editorial Advisory and Review Board. Prior to becoming a full-time accounting educator, Gray worked in public accounting and held various titles in corporate accounting, including accounting manager, assistant controller, and controller. She has been published in the International Journal of Business and Applied Social Science and has presented at conferences and other events on behalf of the Michigan Association of Certified Public Accountants.